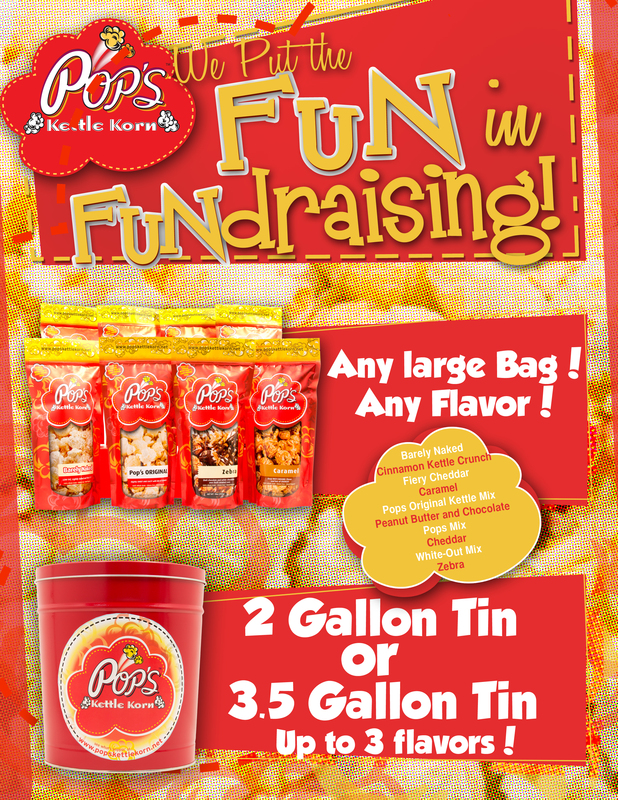 Discover how Pop’s Kettle Korn can help your organization run a successful fundraiser! Pop’s Kettle Korn is a fun and profitable fundraiser for organizations of all types and sizes: schools, sports teams, scouts, volunteer organizations, charity organizations, and more! Don’t wait! Fill out our Fundraising Form to get started today! A: Complete our Fundraising Form (link) or call us at (714) 838-7677. We will send you brochures and order forms that include everything you need to get started. Q: How much profit will we make? A: While we can provide a suggested selling price, you can create your own profit margin by charging more than our suggested sale prices. Q: Do I have to pre-pay for our order? A: Yes, the order must be paid in full, including the cost of shipping fees when applicable. Q: How long will it take to fill our order? A: Orders are normally filled within 2 weeks of receiving your order and full payment, so that you can begin your fundraising journey as soon as possible! Q: Where do we pick up the popcorn? A: We will have your order ready approximately two weeks from the day you submit all order forms and payment to us. Orders can be shipped via UPS Ground. If you choose to have your order shipped to you, you will be advised of exact shipping costs once your order is received. *When paying with an organization check, your order will be held for up to 3 business days until the payment is cleared. All Check payments received grant us the right to process the check electronically (converted to an ACH debit entry). Any returned check may be collected electronically if it is returned for insufficient or uncollected funds, including a 25.00 Service Fee. Q: I received my order, what should I do next? A: Verify that the packing slip coincides with each of your boxes. If there is a discrepancy, please jot down what you actually received. To report a discrepancy, call us at (714)838-7677 or contact us via email at popskettlekorn@hotmail.com. A: No. We currently do not ship outside of the U.S. Please feel free to contact us with any additional questions. Let us help you have a successful fundraiser!